Modern zoos and aquariums are at a critical crossroad. While these institutions are extremely popular, they also face unprecedented threats including a global species extinction crisis, detachment from authentic nature experiences, and concerns about the value of animals under managed care. Here I will discuss how zoos and aquariums develop powerful connections between people as we consider one of the most critical ethical dilemmas of the twenty-first century: how to foster a new relationship between humans and nature. Zoos were created under the Victorian-era premise that their exhibits would present the “wonders of the world” to an audience with very limited access to information. As a digital media revolution rapidly widens public access to content information, this premise is perilously outdated. Today, a zoo visitor can quickly find more information about an animal with a smartphone than the average zoo sign. While the exchange of information may not be the principal service of zoos anymore, these institutions continue to offer places for human interaction and animal care. But is this enough to justify their presence? Are zoos and aquariums relevant in modern society? Why should these institutions exhibit animals, considering the ethical dilemmas that this entails? And ultimately what is the reason for zoos and aquariums to exist in the twenty-first century? Answering these questions will help modern accredited zoos to remain relevant players in fostering a responsible relationship between humans and nature. For the first time in history, the majority of humans live in urban areas. And for most people, zoos are rapidly becoming the most important, and in many cases, the only places to experience diverse live animals. This is particularly true in urban cores where socio-economic inequality limits opportunities for some to experience natural settings, such as national parks. The unique quality of authentic personal experiences with live animals may explain why zoos enjoy widespread popularity. Accredited zoos receive about 180 million visits annually in North American and about 700 million worldwide. This huge popularity cannot be solely explained by the zoos’ entertainment value or marketing prowess. Actually, their popularity results from a deep, innate affective bond that humans have with animals—what E.O. 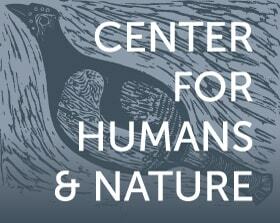 Wilson called “Biophilia.” Our relationship with animals makes us human. Zoos represent highly social settings that combine science learning, enjoyment, and family fun. Conversations about the animals observed and shared emotional experiences usually lead to a sense of group identity, which in turn plays an important role in motivating pro-environmental behaviors. Several research teams are unveiling strong evidence that personal encounters and observations of animal behaviors enhances affective connections with animals. However, research also shows that the opposite is true: public perceptions of poor animal welfare (such as animals pacing in poor exhibit spaces) or perceptions of animal “loneliness” can destroy all education and interpretation messages in one swift stroke. So experiencing healthy animal behaviors during a zoo visit can be a critical factor in creating a positive affective relationship with animals. My colleagues and I have recently uncovered a strong directional relationship between affective connections with animals and visitor intentions toward pro-environmental behaviors. Our analysis showed that people reporting a stronger connection with animals were more likely to be certain that environmental problems, such as climate change, are occurring. Visitors who reported higher affective connections with animals also reported feeling more effective in their ability to address climate change, which made them more likely to participate in pro-environmental behaviors. For a long time zoos have maintained that their live animal collections increase public knowledge and awareness about animals. 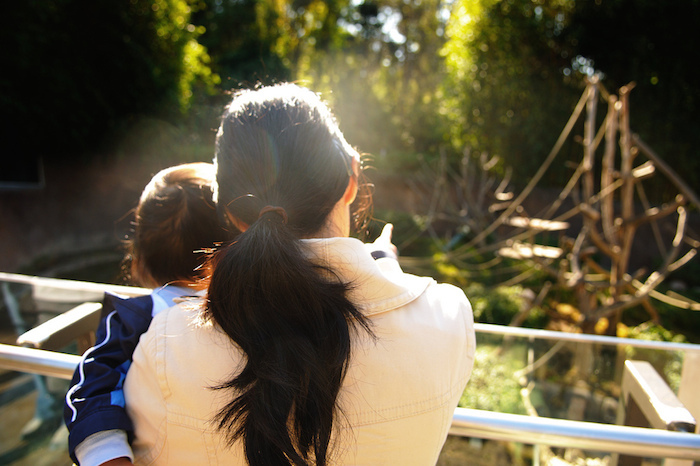 While it is true that zoos create learning environments, we also know that awareness and understanding are not strongly related to pro-environmental behaviors. Yet many zoos continue to fall short of their conservation potential, offering vague messages about animal biology or informational (and often gloomy) messages about conservation. Modern zoos cannot be satisfied with simply informing visitors about biological facts or the challenges of the extinction crisis; it is critically relevant that modern zoos actively promote pro-environmental behaviors to their visitors. Zoos’ hesitancy to play a more assertive role in stimulating public engagement in conservation may be the result of a historically disappointing lack of strong empirical evidence for a relationship between environmental education and conservation outcomes. However, a wave of recent social research findings provides promising evidence that zoos can affect behavior changes in visitors. And behavioral changes are not the only measures of public engagement in conservation. We know now that personal experiences with zoo animals can lead to other changes that may not be self-evident, such as changes in caring attitudes toward animals or the development of more confident communication skills about conservation. Much of the controversy about zoos has centered on the ethics of animals under managed care. The controversy is a result of a growing public sensitivity to animal welfare issues. Zoos need to squarely address these ethical concerns in two main ways: Accredited institutions need to become the ultimate authority on animal welfare by enhancing and measuring the well-being of animals in their care. These institutions must also increase the role that live animals play in developing human attitudes toward the environment. A discussion on the ethics of animals in zoos is absolutely necessary. However, in the era of the Anthropocene, the ultimate ethical dilemma faced by humanity is about how to pursue a more sustainable relationship with our planet. Zoos and aquariums, as strong conservation organizations and as agents of social change, should be at the forefront of this truly existential dilemma. There is already strong evidence of the effectiveness of zoos in saving animals from extinction and in engaging zoo visitors in conservation action. In addition to this essential work, zoos should move forward in developing a social movement for conservation. They can effectively drive social innovation in the relationship between humans and animals by bringing new voices to conservation and reconnecting humans to the ultimate responsibility we have to care for our planet. For the sake of brevity, I will refer to accredited zoos and aquariums as “zoos” with a clear understanding that zoos and aquariums are not the same. I also make the distinction that non-accredited zoos often fall quite short of modern standards. Dr. Alejandro Grajal leads the Center for Conservation Leadership, which combines the Chicago Zoological Society’s conservation and education initiatives in Chicago and around the world.